Firms may profit from responding to competitors’ product recalls, but relatively little is known about the nature and efficacy of these reactions. 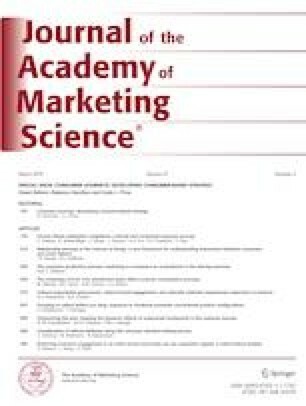 The authors empirically (1) test the link between a major recall (by Toyota) in the automobile context and competitors’ promotional responses and (2) assess the effectiveness of promotional responses and how it varies across brand tiers. They find that though Toyota recalls induced competitive promotions of approximately $850 on average, the competitive promotional reactions did not significantly affect sales on average. However, the results differ substantially by brand tiers. While 50% of premium brands increased promotions, only 36% of nonpremium brands did so. Among premium brands, 86% benefited from promotional reactions; in contrast, the effects of promotions on sales were nonsignificant or even negative for most nonpremium brands. These findings suggest that well-established results on promotional behaviors and their effectiveness may not hold in the context of recalls. Marnik Dekimpe served as Area Editor for this article. The online version of this article ( https://doi.org/10.1007/s11747-018-0611-8) contains supplementary material, which is available to authorized users. The authors thank the Darla Moore School of Business for financial support. They also thank Gary Lilien, Marnik Dekimpe, Venkatesh Shankar, Linli Xu, Yi Zhu, Seshadri Tirunillai, Cem Ozturk, Fue Zeng, and participants at the Marketing Science Conference 2016 for their valuable comments. Appleby, J., & Krantz, M. (2004). Merck estimates $2.5b impact from pulling Vioxx plug. USA Today, (November 30), [available at https://usatoday30.usatoday.com/money/industries/health/drugs/2004-09-30-merck-cover_x.htm]. Boomer, P. (2014). Politely take advantage of your competitors weaknesses! AirTime Success International, (April 17), [available at http://airtime500.com/blog/politely-take-advantage-competitors-weaknesses]. Brauer, K. (2014). Why a massive safety recall hurt Toyota more than GM. Forbes, (July 1), [available at https://www.forbes.com/sites/kbrauer/2014/07/01/why-massive-safety-recall-hurt-toyota-more-than-gm/#648ef344328c]. DeAngelis, L. (2010). The three best times to buy a new car. U.S. News, (March 26), [available at https://cars.usnews.com/cars-trucks/the-three-best-times-to-buy-a-new-car]. Deep, S. (1999). Small in stature, big in the market – why automakers maintain their small-car focus. WardsAuto, (June 1), [available at http://wardsauto.com/news-analysis/small-stature-big-market-why-automakers-maintain-their-small-car-focus]. DeMuro, D. (2015). Buying a car: how much discount can you get at the end of a model year. Autotrader, (September), [available at https://www.autotrader.com/car-shopping/buying-a-car-how-much-discount-can-you-get-at-the-end-of-a-model-year-243364]. DeMuro, D. (2016). Buying a new car: when’s the best time? Autotrader, (September), [available at https://www.autotrader.com/car-tips/buying-a-new-car-whens-the-best-time-211343]. Halvorson, B. (2010). Toyota offers zero-percent and free maintenance to some buyers. The Car Connection, (March 3), [available at http://www.thecarconnection.com/news/1043092_toyota-offers-zero-percent-and-free-maintenance-to-some-buyers]. Isidore, C. (2010). Toyota recall costs: $2 billion. CNN Money, (February 4), [available at http://money.cnn.com/2010/02/04/news/companies/toyota_earnings.cnnw/]. Kallstrom, H. (2015). Intense competition leads to low profit margins for automakers. Market Realist, (February 5), [available at http://marketrealist.com/2015/02/intense-competition-leads-low-profit-margins-automakers/]. KelloggInsight (2008). Brand scandal spillover – when will a brand scandal spill over and how should competitors respond? (October 1), [available at https://insight.kellogg.northwestern.edu/article/brand_scandal_spill_over]. Kelly, A. M. (2012). Has Toyota’s image recovered from the brand’s recall crisis? Forbes, (March 5), [available at https://www.forbes.com/sites/annemariekelly/2012/03/05/has-toyotas-image-recovered-from-the-brands-recall-crisis/#22ab8ddf324d]. Kwak, J. (2009). Help: why are SUVs more profitable? Baseline Scenario, (June 2), [available at https://baselinescenario.com/2009/06/02/help-why-are-suvs-more-profitable/]. Lancaster, J. (2010). GM’s Toyota recall incentive could backfire badly. Tundra Headquarters, (January 28), [available at http://www.tundraheadquarters.com/blog/gm-toyota-recall-incentive/]. Mitchell, J., Ramsey, M. & Dawson, C. (2011). U.S. blames drivers, not Toyota. Wall Street Journal, (Feburary 9), [available at https://www.wsj.com/articles/SB10001424052748704422204576131311592922574]. Montoya, R. (2016). 8 steps to buying a new car. Edmunds, (July 20), [available at https://www.edmunds.com/car-buying/10-steps-to-buying-a-new-car.html]. Niedermeyer, E. (2011). Quote of the day: price wars edition. The Truth About Cars, (February 10), [available at http://www.thetruthaboutcars.com/2011/02/quote-of-the-day-price-wars-edition-2/?print=1]. Reputation Lighthouse (2017). 8 steps to protecting your reputation during your competitor’s crisis. (May 9), [available at http://www.replighthouse.com/2017/05/09/8-steps-to-protecting-reputation-during-competitors-crisis/]. Rooney, B. (2010). Toyota mulls incentives to patch its reputation. CNN Money, (February 15), [available at http://money.cnn.com/2010/02/15/autos/Toyota_incentives/index.htm?postversion=2010021515]. Sawyers, A. (2010). Recalls erode Toyota’s perception of quality. Autonews, (March 15), [available at http://www.autonews.com/article/20100315/RETAIL01/100319935/recalls-erode-toyota%26%238217%3Bs-perception-of-quality]. Singer, N., & Abelson, R. (2011). Can Johnson & Johnson get its act together? New York Times, (January 15), [available at http://www.nytimes.com/2011/01/16/business/16johnson-and-johnson.html]. Story, L., & Barboza, D. (2007). Mattel recalls 19 million toys sent from china. New York Times, (August 15), [available at http://www.nytimes.com/2007/08/15/business/worldbusiness/15imports.html]. Thottam, J., (2007). Why Mattel apologized to china. Time, (September 21), [available at http://content.time.com/time/business/article/0,8599,1664428,00.html]. Tuttle, B. (2013). Plug-in price war: $6,000+ price cuts on Nissan leaf, Toyota Prius EV. Time, (March 8), [available at http://business.time.com/2013/03/08/plug-in-price-war-6000-price-cuts-on-nissan-leaf-toyota-prius-ev/]. Valdes-Dapena, P. (2010). Rival automakers offer $1,000 incentive to Toyota owners. CNN Money, (January 29), [available at http://money.cnn.com/2010/01/29/autos/gm_hyundai_toyota_incentives/]. Wardlaw, C. (2016). 8 important decisions to make before buying a new car. New York Daily News, (March 10), [available at http://www.nydailynews.com/autos/street-smarts/8-important-decisions-buying-new-car-article-1.2558671]. Woo, C. (2007). Mattel recalls 2007 – Communication implications for quality control, outsourcing and consumer relations. Arthur W. Page Society, [available at http://www.awpagesociety.com/attachments/aa3ffe8422e1e1de241f56f6aa18486ec0777b19/store/55195cf877c149fb3c1f995a2b2522983b8b8cc9cc6aeaab3c11131f04d3/Mattel_CaseStudy.pdf].